Since I bought my Remington S5500 hair straightener, I was thinking of buying a heat protectant serum/ spray. Till now, I was relying on my Loreal serum only and was using that in good amount. When searching, I found this one on purplle.com. 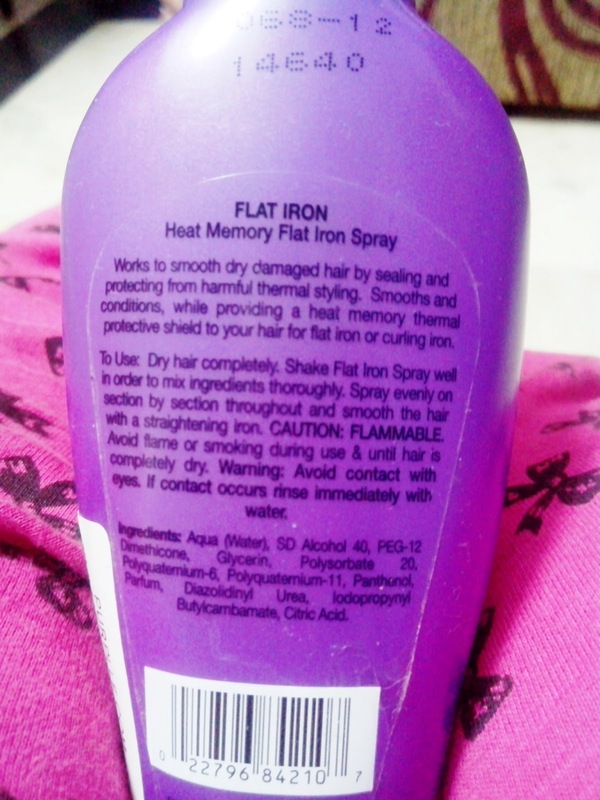 I wanted to buy Sunsilk Keratinology Heat Protectant Spray as it also has good reviews. But when I found this, I just wanted to go for this one. Received my package from purplle.com yesterday only. 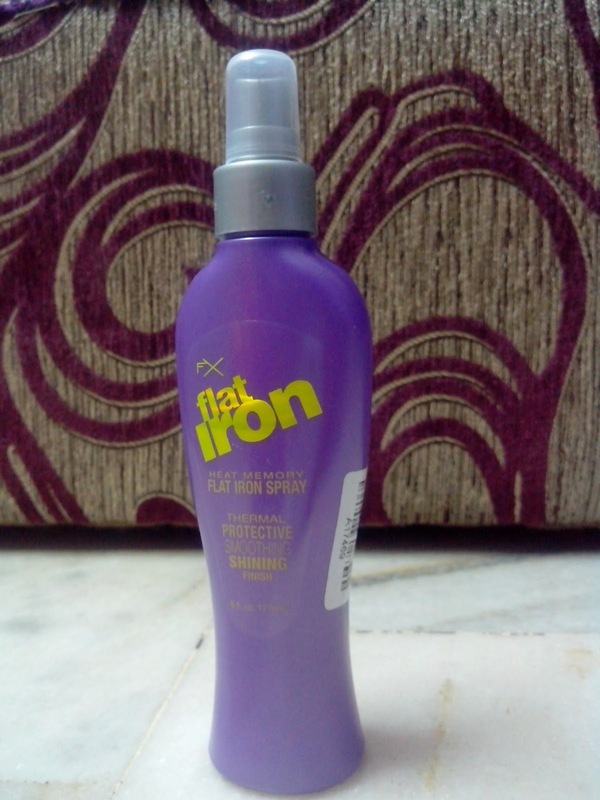 FLAT IRON Heat Memory Flat Iron SprayWorks to smooth dry damaged hair by sealing and protecting from harmful thermal styling. Smoothes and conditions, while providing a heat memory thermal protective shield to your hair for flat iron or curling iron. 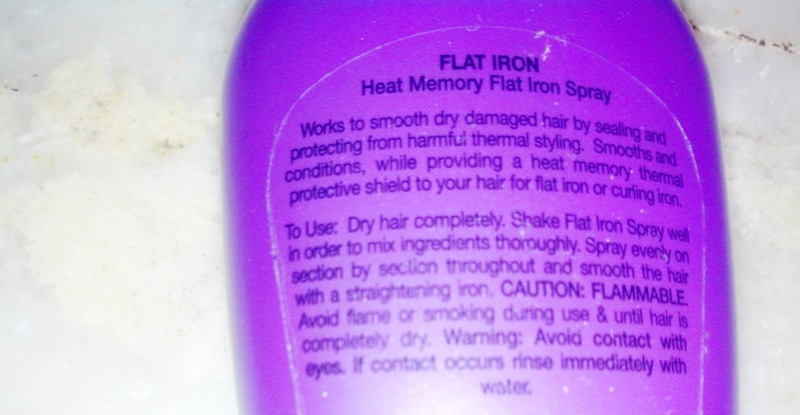 FX Flat Iron Heat Memory Spray works to protect dry and damaged hair from harmful thermal styling in the comfort of your home. It provides a thermal-protective shield for flat ironing and curl ironing of hair. Rs. 405 for 180ml. I got it at 5% discount in Rs. 405. I still haven’t used this product but very eager to use it. Just wait for some more time. I will use it and review it soon 🙂 with some pics.